Electronic cigarette company Juul Labs, by most accounts, would appear to be in a good position. The company has captured 71 percent of the US market and has a $15 billion valuation yet during lunch at its new San Francisco headquarters this past spring, Chief Administrative Officer Ashley Gould admitted her team had failed. “We acknowledge kids are using the products,” she said, adding that they’re committed to stopping it. In October, Juul will take a big step in doing just that by launching a Bluetooth-connected vape capable of regularly verifying a user’s age. The software will also help ex-smokers track nicotine intake as they attempt to wean themselves off it. The new units will first be introduced in Israel and Western Europe. How exactly they'll verify a user's age wasn't shared. Juul has additionally committed to spend $30 million to prevent underage use. 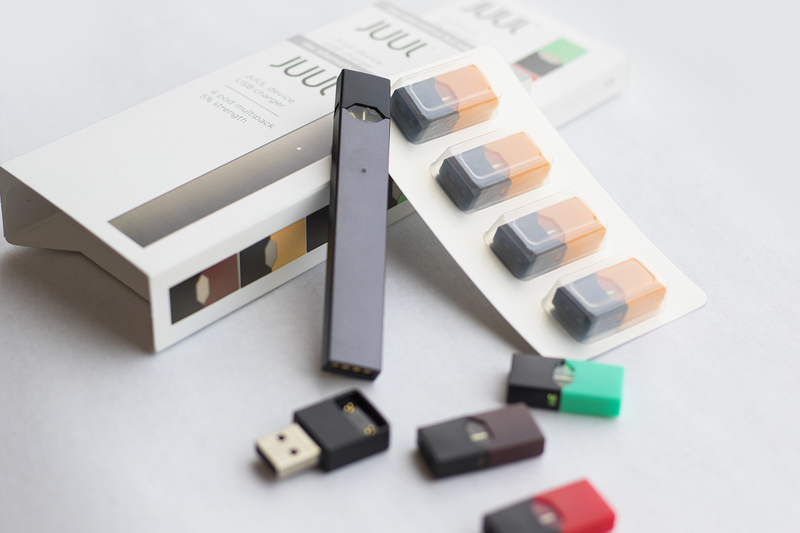 Sources familiar with the matter tell Bloomberg that Juul is also withholding 55 new flavors including strawberry Limoncello, Thai tea, mimosa and spicy watermelon from the market. Juul is further planning to release pods later this year with lower doses of nicotine. At five percent, its liquids have almost double the concentration of nicotine as some of its rivals. Unless they reveal how they're actually verifying a person's age, this is merely window dressing. Reehahs, yRaz and mcborge like this. This would only work if they have a complete monopoly on the vaping market, or get regulation passed banning vaping devices without the age verification feature. Is that their plan? Even then, I highly doubt this will prevent children from vaping. Just like most electronic devices, any security feature would be eventually be circumvented. Looks more like a sneaky way to introduce DRM if their pods are easily copied by third party manufacturers. Also it's a great way of collecting data on all users which no doubt the company can monetize in some way. They'll just go back to smoking cigarettes in the bathrooms like we did in highschool. If there is a will there is a way, they will never stop kids from vaping. Seriously, though. How the hell would the device determine a person's age?